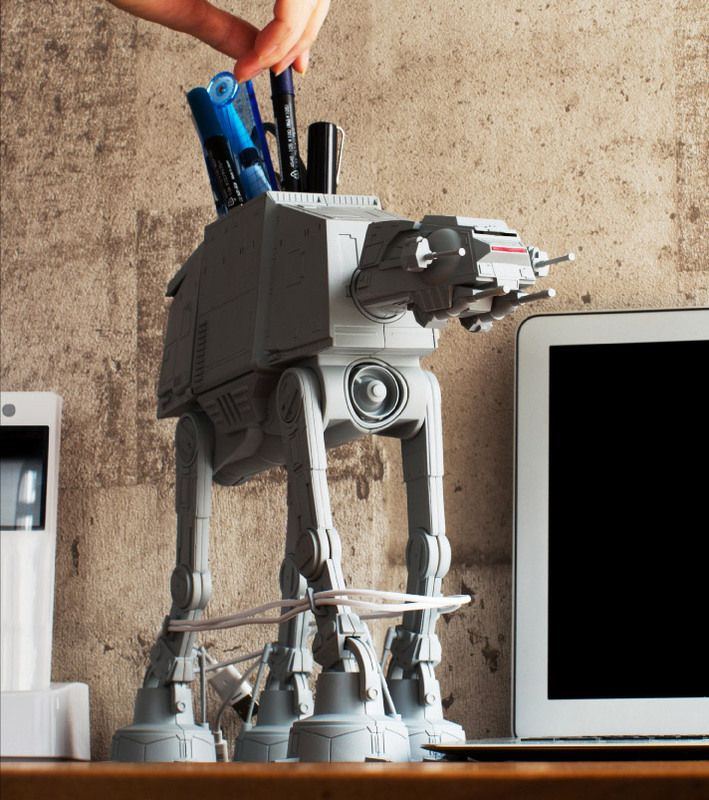 This AT-AT Desk Organizer is the Best Organizer There Is | OhGizmo! 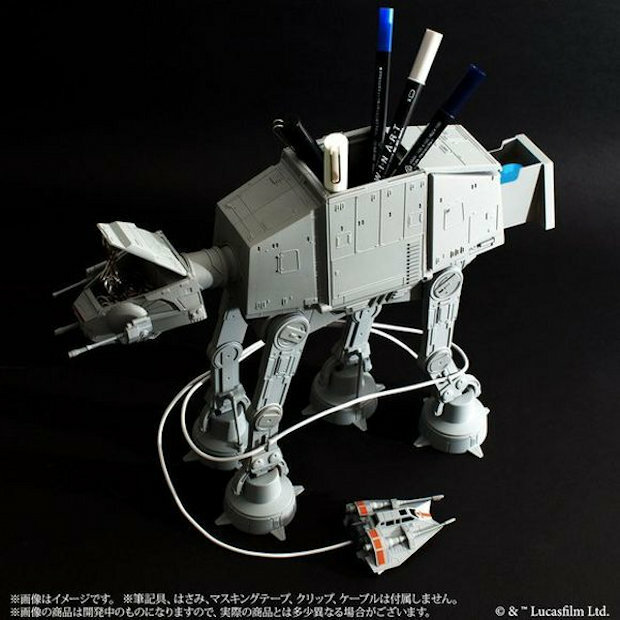 Hot on the heels of our Star Wars Suits coverage, we want to direct your attention to this most awesome AT-AT Desk Organizer. It measures 10.6″ tall and is a 1/72 scale replica of the “real thing”. It’s full of compartments to store your various items, and even comes with its own companion Snow Speeder with a tow hook, letting you wrap your charging cable around its feet with ease. 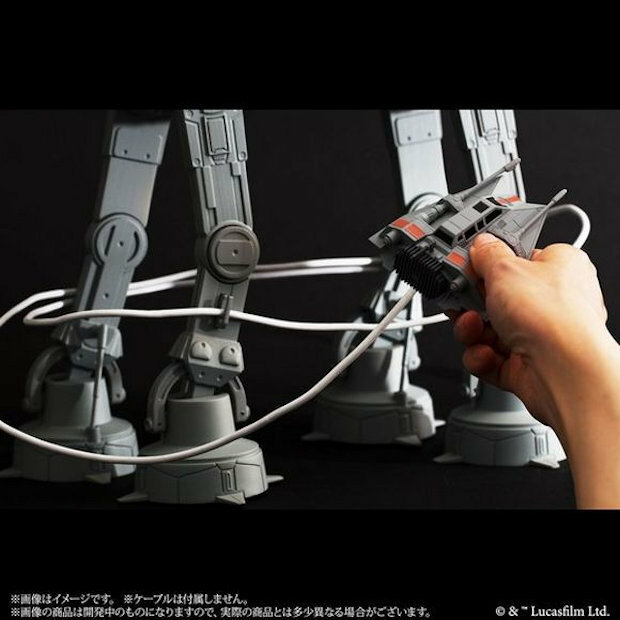 Its various joins are flexible, so you can pose him how you want. It doesn’t get much better than this, and at 9,720 yen (~$95 USD) available in December, we expect it to be a popular Christmas present.